Oracle Netsuite has disclosed that new partners have become part of its solutions provider program. These new partners include Vibrant, Softengine, Smartbridge and ERA Consulting Group. The partnership will see clients offered new could enterprise resource planning practices into to speed up growth while enhancing efficiency. While Vibrant, Softengine and Smartbridge are both based in the United States, ERA Consulting Group is headquartered in Montreal, Quebec. The Canadian firm which boasts of 100 clients was started 14 years ago and concentrates on the services, distribution and manufacturing industries. Smartbridge on the other hand is based in Houston, Texas and has been in existence for the last one and a half decades. Its focus areas include digital transformation, enterprise mobility, advanced analytics, business intelligence, systems integration, supply chain and enterprise resource planning. Smartbridge’s clients are mostly in oil and gas, food service, distribution and manufacturing. Woodland Hills, California-based Softengine has been operating for more than two decades and its expertise is in sectors such as nonprofits, apparel, retail, food production, manufacturing and wholesale distribution. Vibrant on the other hand is headquartered in Princeton, New Jersey and has been in existence since the year 2000. Its experience has mostly been in implementing enterprise solutions that include Microsoft Dynamics, Oracle eBusiness Suite, Oracle JD Edwards and Oracle PeopleSoft. Most of Vibrant’s clients are in manufacturing, retail and life sciences. 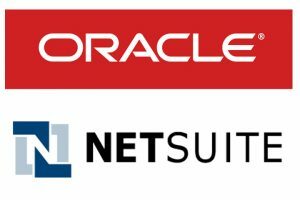 The induction of new partners by Oracle NetSuite comes in the wake of the release of a research note by Barclays indicating that the enterprise software maker has built the capacity to challenge industry leaders in the enterprise cloud services market. But according to Raimo Lenschow, an analyst at Barclays, all that remains for Oracle is to convince customers to come onboard. However that has been made easier by recent updates that Oracle has made as well as progress in various areas as was evidenced during the tech giants CloudWorld conference held earlier in the week in New York. “The last missing piece is now customer acceptance and we see early adoption from customers that need enterprise class performance, such as supply chain vendors,” Lenschow wrote in the client note. Oracle currently boasts of approximately 20,000 existing clients who have Enterprise Resource Planning products on their premises meaning the firm has plenty of opportunities to expand the application cloud business. However the bigger opportunity lies in cloud platform services and this is dominated by Amazon, Microsoft and Google.